How do I configure my Windows® settings for Ascend? 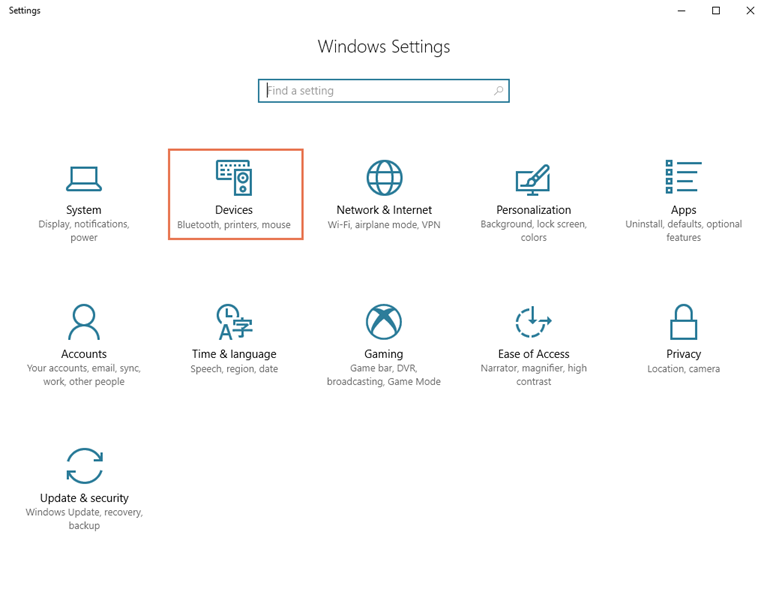 Windows® settings must be configured separately on each computer running Ascend. 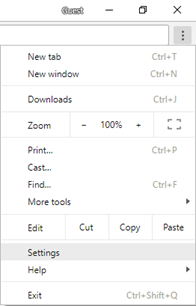 To get started, open up your computer’s Control Panel: just click on the Start menu and start typing to search. Complete all required Windows® updates before installing Ascend. The Ascend Installer may not complete if Windows® is not up-to-date. Windows® updates may not be cumulative. Additional updates may be required after another is installed. Click System and Security, click Windows Update, then click Change Settings. From the Important Updates drop-down menu, select Install updates automatically (recommended). Click the Updates will be automatically installed during the maintenance window link. From the Run maintenance tasks daily at drop-down menu, select a time. 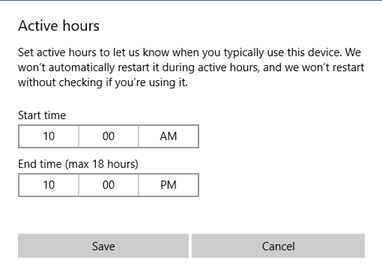 Enable the Allow scheduled maintenance to wake my computer up at the scheduled time option.Sherpa Tip: In order for the updates to run correctly, the computer must be powered on at the designated time. Click OK, the OK again. Click Install Updates and restart as prompted. Repeat the process until no more updates are available. When all updates are installed, click Close. 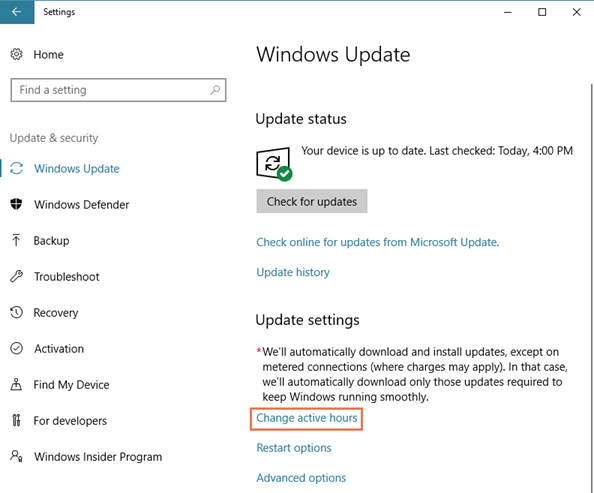 Click the Start menu, click Settings (gear icon), click Update & Security, then click Change active hours. Select the hours when employees will be in the store and working in Ascend (maximum 18 hours) and click Save. 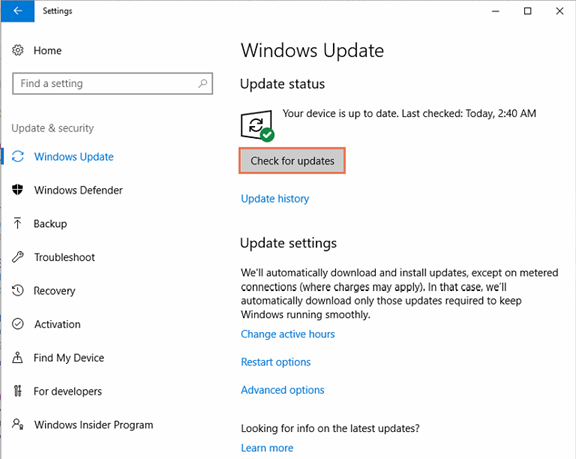 From the Windows Update screen, click Check for updates. In the Plans section, select High Performance. From the Put the computer to sleep drop-down(s), select Never. Expand Hard Disk, then expand Turn Off Hard Disk After. Set all options to zero minutes and click Apply. Expand Sleep, then expand Sleep After. Expand USB settings, then expand USB selective suspend setting. 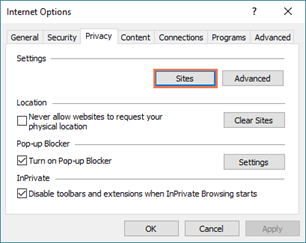 From the Setting drop-down, select Disabled and click OK.
Click System and Security, click Windows Firewall, then click Turn Windows Firewall on or off. a. Select Turn on Windows Firewall. b. Disable Block all incoming connections. c. Enable Notify me when Windows Firewall blocks a new program. 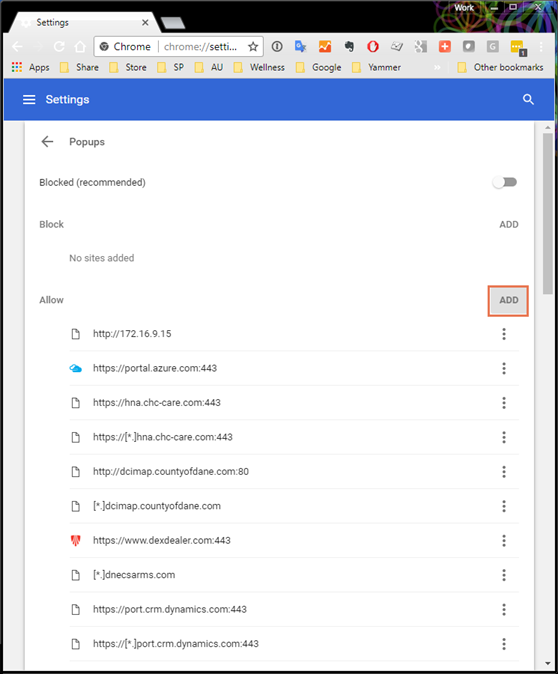 In the Allowed Apps and Features list, verify File and Printer Sharing is enabled in the Home/Network (Private) column and click OK.
a. Right-click Start and select System. ii. (optional) In the Computer Description field, enter a meaningful name for the computer (e.g. Front Register) and click Change. iii. In the Workgroup field, enter the required name. iv. Click OK on all prompts, then Close. Restart as prompted. c. Click the Start menu, type cmd, and open the Command Prompt program. d. Type ping <server computer name> (e.g. ping SERVER01) and press Enter.Sherpa Tip: To find the name of the computer, right-click the Start menu and choose System. i. If the computer is communicating with the network, a reply displays (e.g. Reply from 192.168.2.30). ii. If the machine is not communicating with the network, an error message displays (e.g. Ping request could not find host SERVER01). iii. If all cables are connected properly and the computer is still not able to connect to the network, contact a network or IT specialist in your area. a. 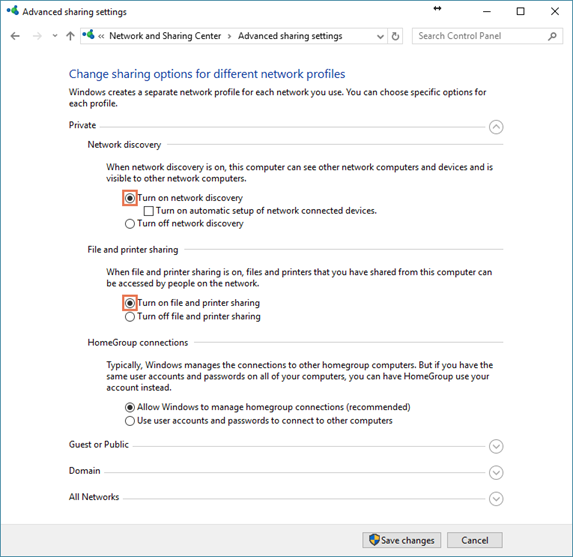 From the Control Panel, click Network and Internet, click Network and Sharing Center, then click Change advanced sharing settings. c. Expand All Networks and select Turn off password protected sharing. 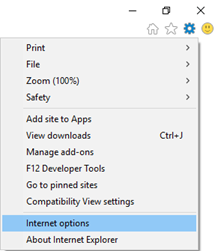 e. (Windows® 10) Click the Start menu, click Settings (gear icon), then click Network & Internet. f. (Windows® 10) In the left pane, click Ethernet. 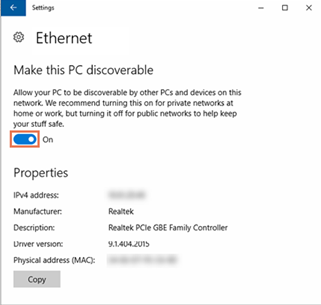 g. (Windows® 10) In the right pane, click Ethernet again. h. (Windows® 10) Enable Make this PC discoverable. From the Windows® Taskbar, right-click the clock and select Adjust Date/Time. Select the Internet Time tab, then click Change Settings. Enable Synchronize with an Internet time server. From the Server drop-down, select time.nist.gov. 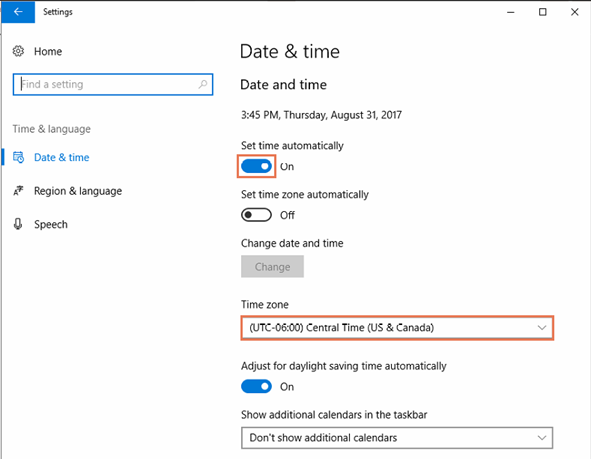 Click the Start menu, click Settings (gear icon), then click Time & language. From the Time zone drop-down, select your time zone. i. Select the Tools menu (gear icon) > Internet Options. i. Select the Tools menu (lines icon) > Options. i. 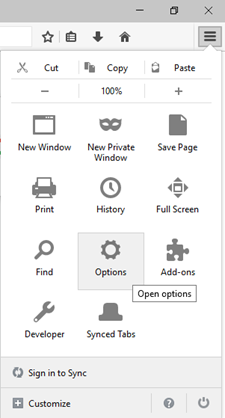 Select the Customize and control Google Chrome (dots icon) menu > Settings. i. 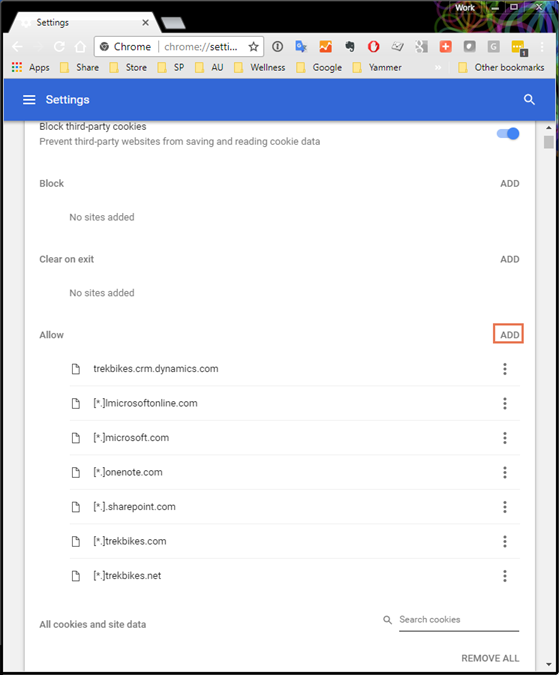 Select the Privacy tab, then click Sites. ii. In the Address of website field, enter ascendrms.com. iii. Click Allow, then click OK.
i. 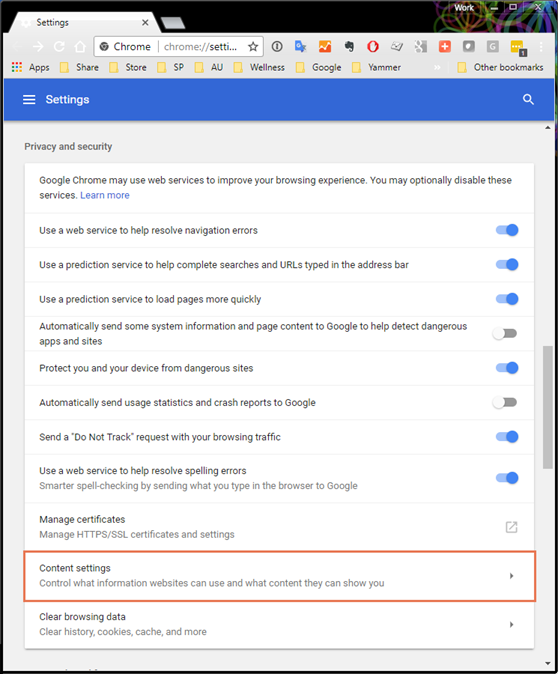 In the Privacy and security section, click Content Settings. iii. In the Allow section, click Add. iv. In the Site field, enter [*. 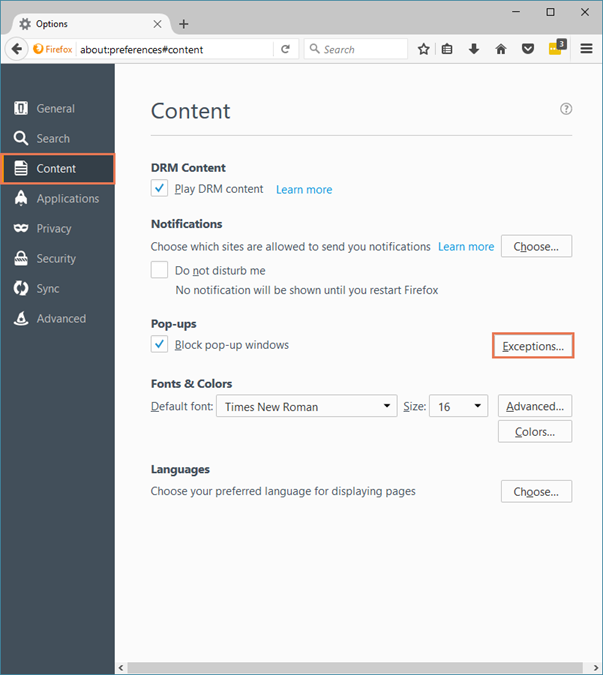 ]ascendrms.com, then click Add. i. 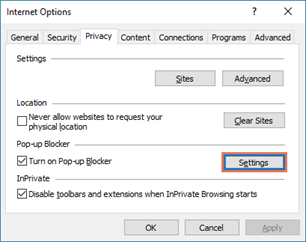 From the Privacy tab, click Settings. ii. In the Address of website to allow field, enter *.ascendrms.com. iii. Click Add, click Close, then click OK.
i. Select the Content tab. ii. 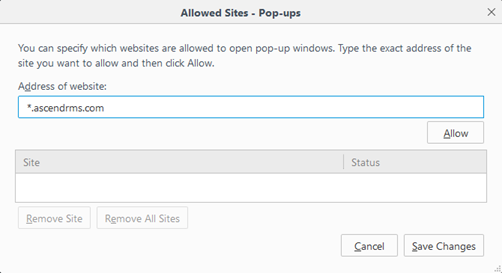 Next to the Block pop-up windows option, click Exceptions. iii. In the Address of website field, enter ascendrms.com. iv. 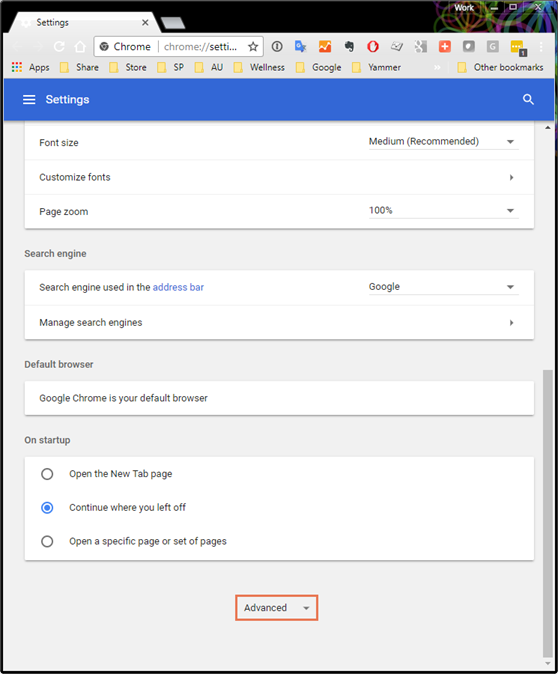 Click Allow, then click Save Changes. i. In the Content Settings section, click Popups. ii. In the Allow section, click Add. iii. In the Site field, enter [*. 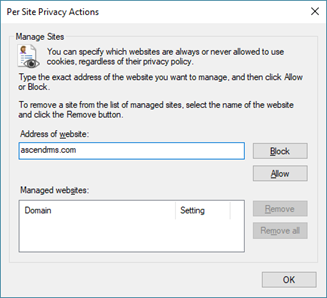 ]ascendrms.com, then click Add. Click the Start menu, click Settings (gear icon), click Devices, then click Printers & Scanners. 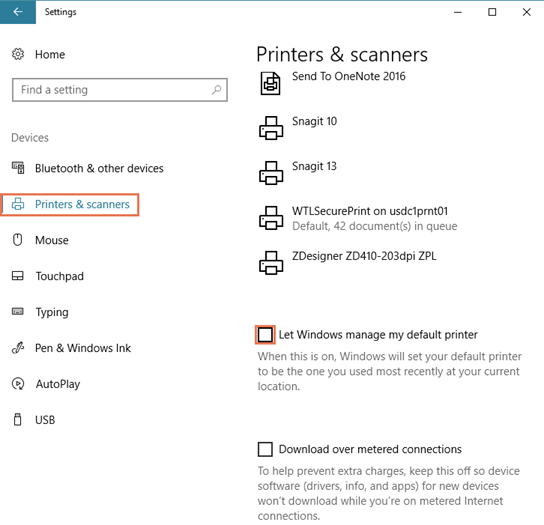 Uncheck Let Windows manage my default printer.